Photograph by Ben Reyes. Valencia, Spain. 2011. Camilo Garzón is a Colombian American author that writes meaningful prose that aspires to be poetry. His writing explores those paths that delve deeper into what are dense levels of language, comparative literature, always infused with references, and with a focus on a primacy of meaning. Some of the topics that he is interested in often appear in his pieces, such as semiotics, philosophy, and religions. A basic interpretation of the proem is that it’s about the lies we tell ourselves and what those mean when accepting who we are and changing who we can become. There are prominent intertextual references to Sikhism and Christianity throughout it. The title is derived from ‘Entombed’ by Deftones from their 2014 album “Koi No Yokan,” with lyrics by Camillo “Chino” Moreno. Read an except here. These are ten experimental literary pieces written by Camilo Garzón between 2012 and 2015, while he was an undergraduate student at Rollins College. The pieces here are referred to as proems in honor of Sasha Sokolov’s neologism—proeziia. 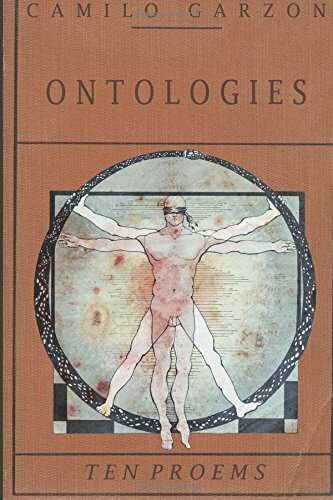 Because of the proems’ experimental nature – as all literature should strive to be – the languages, ontologies, and words used, are essential for the truth-game and for the language-game in which they attempt to immerse the reader. Read an except here.